At long last folks, we're back in our Gym tonight ........but it's going to be a regular meeting just yet! Background: Every week, just after opening we have a quick group conversation with our entire Colony to reinforce 2 core Beaver principals. Caring and Sharing. We ask the group to provide some examples how how they helped care for something, or share something in the time since our last meeting. It's fun to see the lil'guys think hard and realize that helping clear the table, taking out some trash, or sharing some M&M's was a big part of their week. A common theme in the Caring category for our guys, is taking 'care' of their pets. From guinea pigs, to fish, to cats and dogs .......A Colony's households are pet friendly places. We picked up on that, and thought that it would be cool to bring in some other awesome examples of critters and pets to learn about how they fit into the world too. 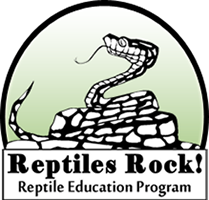 On April 16 Tom from Reptiles Rock will be joining us. Our full meeting will be a meet and greet with all of the fantastic snakes, spiders, critters and crawdads that 'share' our planet with us. We're asking each beaver for a small contribution, to help Tom 'care' for his animals. $5 would be an awesome monetary contribution, or beavers can provide one of the following. We'll see you in the Gym Tuesday night folks, should be a great week. ** Quick update. Sarah safely finished the marathon, she and her family were safely away from the horrible turn of events that occurred yesterday in Boston. She and her family are en route back to Ottawa.